MCLEAN, Va., March 28, 2011 -- Northrop Grumman Corporation (NYSE:NOC) has named David Ryan vice president and general manager of its Intelligence Systems Division, one of five divisions within the company's Information Systems sector. He reports to Linda A. Mills, corporate vice president and president of Northrop Grumman Information Systems. "Dave is a very seasoned business executive with a rich history with the intelligence community who understands how to apply management principles to improve quality, productivity and performance throughout multiple customer sets," Mills said. "He has provided invaluable leadership to our business development operations and that experience will also advance our position as a leading integrated solutions provider in the intelligence market." Ryan joined the company in 2005, serving in senior management roles across the company's space, defense and intelligence businesses, including as vice president of programs and general manager of the Civil Systems Division in the company's space business. 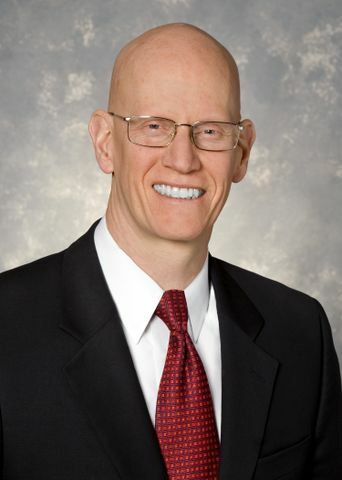 Prior to joining Northrop Grumman, he was responsible for general management of one of the world's largest manufacturers of commercial and government communications satellites and has held senior leadership positions throughout the space and defense industry. Ryan holds a bachelor's degree and master's degree in electrical engineering from Rice University in Houston. Northrop Grumman is a leading global provider of advanced solutions that deliver timely, actionable information for its military, civilian, and intelligence customers. Through the company's rich technology base, intimate customer relationships, and passion for mission success, Northrop Grumman is uniquely positioned to provide the full spectrum of multi-intelligence solutions to address our customers' specific needs.